Liz & J.A. 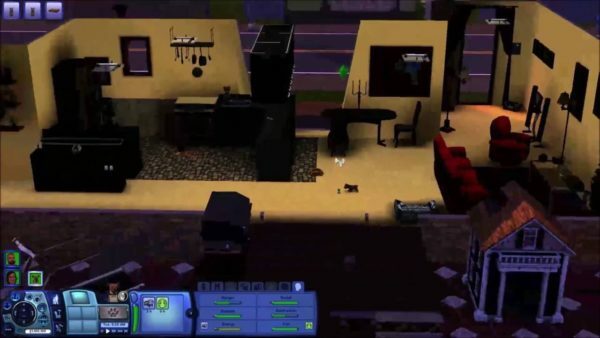 play the Sims: Episode 2: Why won’t this damn dog leave? In our last episode our couch potato millionaires found a job. Now before heading off too sleep they decide to play with their loving dog. Unfortunately, they have what was at first a sweet playful guest, a cute puppy, but now it just won’t leave. What’s is the secret of this puppy? Nothing they do will get it to go away. Does this puppy have powers even greater than the game itself?